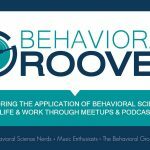 The Buried Life: 4 Guys, a Purple Bus, and Tons of Motivation – Behavior Matters! Awhile back I wrote an article on death as a motivator and the four guys from, “The Buried Life,” are taking action on living life vs. waiting to die. The video below is a snapshot of what is at the heart of their motivation to squeeze the littlest moments out of life, to help a stranger, to listen to other peoples’ stories, and to have a lot of fun in the process. They embody the Four Drive Model in action, the Drive to Acquire & Achieve, the Drive to Bond & Belong, the Drive to Comprehend & Challenge, and the Drive to Define & Defend. The Drive to Acquire & Achieve: They have a list of 100 items that they want to complete in addition to helping others achieve their dreams. In the process they will need to acquire certain items to complete their list maybe it is a big purple bus utilized as their transportation from city to city or money to help purchase a computer for a 5th grade class. The Drive to Bond & Belong: The foundation of, “The Buried Life,” is to bond and belong to something bigger, helping one another out along the way. To listen to the stories and dreams of strangers, to participate actively in life, and to inspire others to make their dreams come true. The Drive to Comprehend & Challenge: This is no doubt a challenge to cross off the list of 100 random items. In the process they learn and grow because they are pushing their comfort zones and trying to figure out how to accomplish the next item on the list or how to raise money when they are themselves broke. The Drive to Define & Defend: They are defining who they are and what items they want to do before they die and in the process they have taken a stand on how they want to spend their time each day. They are forming a tribe of like minded individuals across North America who are inspired to help them and would defend this idea to anyone who threatens its existence. Motivating behavior can be found everywhere; in this case it resides in the dreams of four guys traveling across North America in a purple bus. I made a “bucket list” about five months ago and it’s really helped me see the endless possibilities in life and recognize what is most important to me. The Buried Life looks pretty good and I’m glad it’s getting others to think about what it is that they want to do before they die. Seeing what they are doing has motivated me to actually go out and try crossing off the things on my list. Great post! I think it is wonderful that you started your own “bucket list.” It sounds like you are motivated to take action and start crossing off some of your items. Life is an adventure. We can both sit in the stands and watch others play in the game or we can have the courage to jump in and play. I say ‘carpe diem’!